Whether you stumbled on this page accidentally or you’re deliberately visiting, thanks for stopping by! A new website is in the works with audio and photos, but for the time being, please check my upcoming acoustic show dates below. Don’t forget to say hi at the show and I hope to see you soon! If you’re interested in knowing when and where my next show will be, please sign up on the mailing list. I won’t spam you that much, I swear. 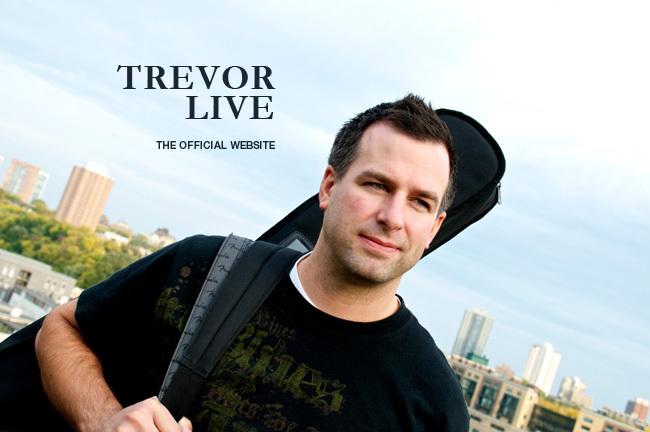 Trevor is also a member of a Milwaukee local alternative rock band, Modern Giants.